A key differentiator of Crystal Networks Holding lies in its adoption of a system integration approach whereby customers can benefit from our consultants' extensive experience in designing, building and enriching networking and security designs and solutions. In fact, proactive enhancement and security mitigation plans are a valuable part of our delivered services. Crystal Networks Holding helps its customers reach their applications' optimal performance throughout the entire application lifecycle. By testing new applications before deployment we ensure that the network and end-user demands are met. As for applications already in the production stage, Crystal Networks Holding locates and repairs performance issues to limit any application downtime or loss of productivity. 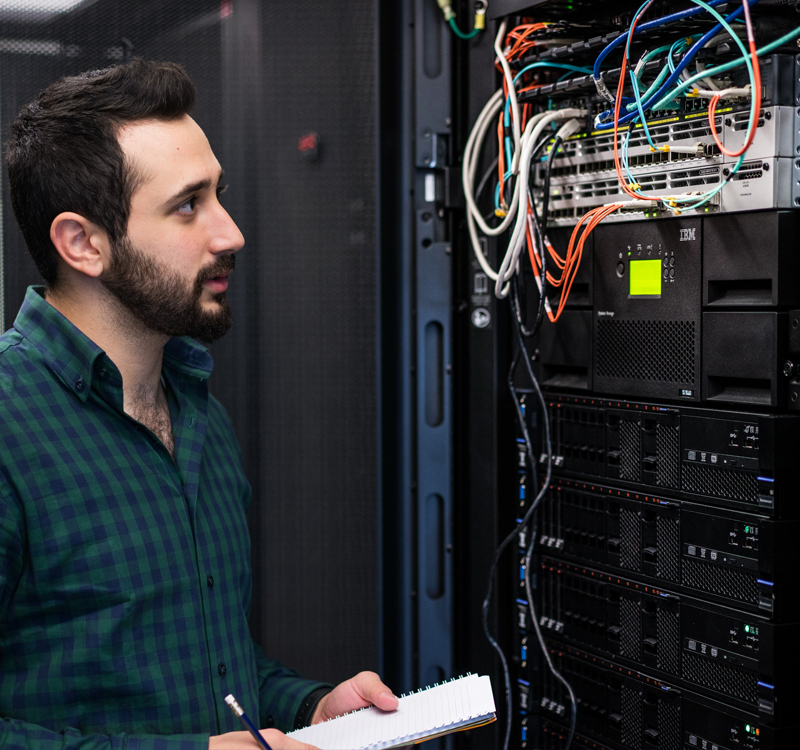 In addition, we ensure that Service Level Agreements (SLAs) are remained intact when migrating applications as part of a data center transformation or when transferring them to the cloud. Managed Services and IT outsourcing is a strategic method commonly used for operational enhancement and cost cutting. It involves the process of proactively outsourcing management responsibilities and functions. Our offered Managed Services, at Crystal Networks Holding help customers anticipate, identify, and resolve issues faster, and with greater accuracy, while preserving as much supervision and control as possible. Software Defined Networking (SDN) enables organizations to accelerate application deployment and delivery through policy-enabled workflow automation, which tremendously reduces IT costs. SDN technology not only allows cloud architecture by delivering automated, on-demand application delivery and mobility at scale but also increases the benefits of data center virtualization, leads to enhanced resource flexibility and utilization causing reduced infrastructure costs and overhead expenses. SDN is able to achieve these business objectives by integrating the management of network and application services into centralized extensible orchestration platforms that can automate the provisioning and configuration of the entire infrastructure. Commonly used centralized IT policies bring together disparate IT groups and workflows. Therefore, using SDN leads to a modern infrastructure that can deliver new applications and services in minutes as opposed to a matter of days or weeks as required in the past. 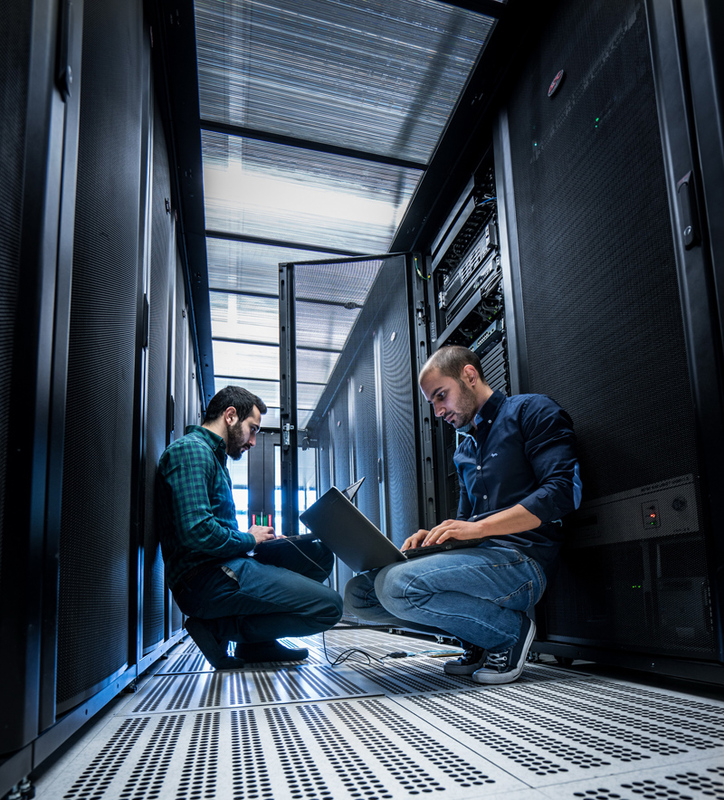 Flexibility, policy, and programmability are known for being the trademarks of Cisco's SDN solutions attained through a platform capable of handling the most demanding networking needs of today and tomorrow. Among the services offered, Crystal Networks offers various Cisco Cloud and Managed Services, including Cisco Webex and Meraki as well as reselling Cisco-Powered Services for Telepresence As A Service (TPAAS). With Crystal Networks Cisco WebEx Conferencing solution, it is now possible for organizations of all types and sizes to connect with anyone, anytime and anywhere. The increase in work trends of disseminated teams, mobile workforces, global operations, and round-the-clock demands in the workplace today have led to an increased need for interconnectedness. As a result, web conferencing is a solution capable of boosting productivity, broadening reach and taking businesses to higher levels. In addition, WebEx solutions make it easier to integrate web meetings into any organization's business processes. WebEx allows to schedule and start meetings from standard applications using seamless integration with Microsoft Office applications, IM, email and other enterprise business applications. It also offers the possibility to schedule a one-time or recurring meeting, start an instant session or even invite attendees, all from your Microsoft Outlook calendar. WebEx sessions can also be used as an add-on to in-person meetings to perform weekly staff updates for instance. This solution enables people who are out of the office to visualize the documents and presentations shared during the meeting from their current location. With Crystal Networks Holding Cisco Meraki solution, customers are able to benefit from the cloud to edge and branch networks through the delivery of easy-to-manage wireless, switching and security solutions allowing customers to seize new business opportunities and cut operational costs. Whether fortifying iPads in an enterprise or obscuring a campus with WiFi, Meraki networks is the solution. Cisco Meraki is the only answer to unified controlling of mobile devices, Mac, PCs and the entire network from a centralized dashboard. In fact, it allows the ability to enforce device security policies, deploy software and applications and perform remote, live troubleshooting on thousands of managed devices. Crystal Networks Holding & Globalcom Data Service (GDS) Hosted Video Service offers the possibility to manage from beginning to end the most critical multiparty videoconferences in the cloud by our Network Operation Center (NOC) and team of experts. Hosted Video Service allows any endpoint in any network to collaborate through video with colleagues, customers and partners with a guaranteed high quality experience every single time. Crystal Networks Holding & GDS Hosted Video Service is designed to connect video users from all over the world, whether from a conference room, desktop or mobile device. Customers that are registered for GDS Video Services obtain access to a full set of cloud hosted video services, including managed conferencing and webcasting. Hosted Video Service allows the shift from a capital expenditure model to an operating expense model leading to an optimal management of resources and reduced costs. With GDS Managed Video Services, your mission critical multiparty videoconferences are managed from start to finish in the cloud by our NOC and team of experts. Managed Video Services let you use any endpoint on any network to collaborate over video with your colleagues, customers and partners - with a guaranteed high quality experience every time. GDS Video Services are designed to connect video users all over the world whether they are on immersive telepresence, conference room, desktop or mobile devices. Customers that are registered to GDS Video Services can get access to a full suite of cloud managed video services, including the managed conferencing, webcasting, and recording services. Crystal Networks Holding is a highly competent professional system integrator characterized by its capability of acquiring a wide range of experiences in designing, implementing, operating and maintaining large complex networks and data centers. Holding ten years of experience, Crystal Networks Holding succeeded in focusing its history on offering managed operational services. With a team of highly skilled employees, our carefully designed solutions, state-of-the-art equipment, and dedicated customer service centers Crystal Networks Holding is able to offer customers unmatched world-class services.